HOW TO MAXIMIZE EVENT REGISTRATIONS? Today, consumers are empowered than ever before and marketers are seizing every opportunity to build relationships with them. Events offer a unique opportunity for consumers to interact with the brands and understand the company’s focus, perspective, and personality. Events are slowly becoming the most widely prevalent marketing promotional tactic adopted by modern day businesses. Well, it’s the intersection of online marketing tactics and the marketing automation tool that makes events an effective mode of generating leads and driving ROI. Implementing the above suggested techniques require a certain expertise and dedicated time & efforts. For a small and mid sized business marketer, having a bandwidth of trained online marketing experts may prove to be expensive and doing all the marketing activities as a one-man show maybe a bit overwhelming. You can take help from professional event marketing experts to boost event registrations and ensure success of an upcoming event. Smart marketers are aware of the growing popularity and positive impact of events, thus they are working out innovative tactics to incorporate events in their ongoing or upcoming marketing strategy. Events not only aid the marketers in improving visibility and awareness about a product/service but also help in creating the desired “buzz”. Having a sold-out event as soon as registrations open, is every marketer’s dream! And, why not? Endless hours and great efforts are invested in planning, designing and implementing a strategy for an upcoming event and it will be nightmarish if there are paltry event registrations. They are a great way of informing your potential attendees and engaging with them to ensure that they register for your upcoming event. Use marketing automation platforms to design, segment and optimize event email marketing campaigns like never before! Choose from a wide range of ready-to-use email templates, customize them as per the target audience lists and send out automated emails as per pre-determined schedules. The great thing about this tool is you can also segment your audience as per the event type and send personalized yet automated emails to only the chosen target list of prospects/customers. Send reminders using email sequences i.e if A does not respond within “x” days, send reminder and so on. Smart marketers use marketing automation tools for creating SEO-optimized landing pages quickly. Choose from a vast number of readymade landing page templates and personalize them as per the event type and target audience. The landing page should effectively convey to the audience exactly why they should attend the event, what are their key takeaways in terms of value, learnings, certifications etc. Remember to mention the date, time, and venue details along with contact person details. Enable online registration, payments and social sharing options for enhanced event registrations. When planning and publishing stories about your event, always keep your target audience in mind! Avoid the cookie cutter approach in your content and rather focus on creating a tailored content in the form of blogs,press releases, emails, landing pages etc. for the target audience. Utilize features like Smart Content for your website and landing pages to display personalized messaging depending on the buyer persona type. Put yourself in your buyer persona’s shoes and ask these questions before crafting the content. What would interest you in the event? 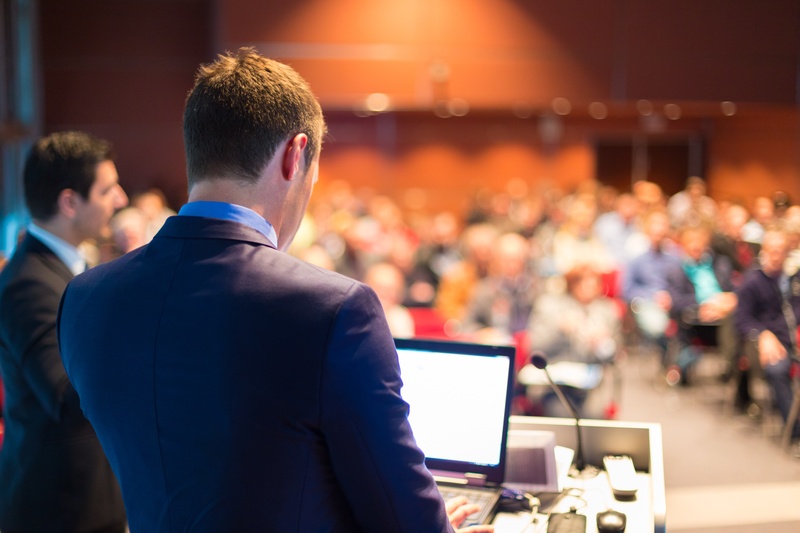 What benefits will the attendee get by attending your event? A good CTA can certainly improve the effectiveness of landing page, email and social media posts. A CTA is the final guiding step to your visitors to persuade them for event registration. Ensure to make it compelling and strategically located to grab maximum attention. Use striking colors and font options using A/B test features of the marketing automation tool to test effectiveness and choose the better performing CTA wisely. Smart forms with quick fill abilities are a great way to improve event registrations. Most organizations have static forms to get the attendees’ contact details for further interaction. But, smart marketers use a marketing automation tool to create smart forms which help to capture all the necessary information from the visitors by prioritizing the questions you need to ask them. Smart forms will let you show new yet relevant questions to your event landing page visitors each time they fill out form in order to know more about them without annoying them. You can create shorter forms by removing already-known data & it also auto populates the information filled by the attendee earlier. Modern marketers don't shy away from harnessing the power of social media. It’s one of the most sought after online marketing technique for creating the “buzz” in order to drive event registrations. Using a marketing automation tool enables you to create multiple social media posts about your event, allowing tweaks in the content as suitable for each social media handle. Find out which hashtags or posts receive maximum clicks and which is driving traffic to your event landing pages. Google Ads, Facebook ads and sponsored Instagram posts are immensely popular with marketers for ensuring success of their events. Smart marketers are trying to unearth innovative attention-grabbing tactics using paid ads in order to attract the relevant target audience for driving event registrations for upcoming events. Using a great marketing automation tool will enable you to integrate your Facebook, Instagram, Google AdWords account to enable quick ad creation with customized spend options and timelines for each account. Create, post, manage, and of course monitor the paid ads(clicks, views and conversions), all at one place with just a few clicks. Read this blog to know how to create content for maximizing event registrations. Modern marketers are laboriously crafting and executing well researched and planned event marketing strategy for maximising event registrations. Their strategy comprises of a magical combination of various online and offline event marketing tactics to ensure sold-out events. Need help in executing any aspect of your event in order to maximize event registrations? Talk to an event marketing specialist at Prodigitas. 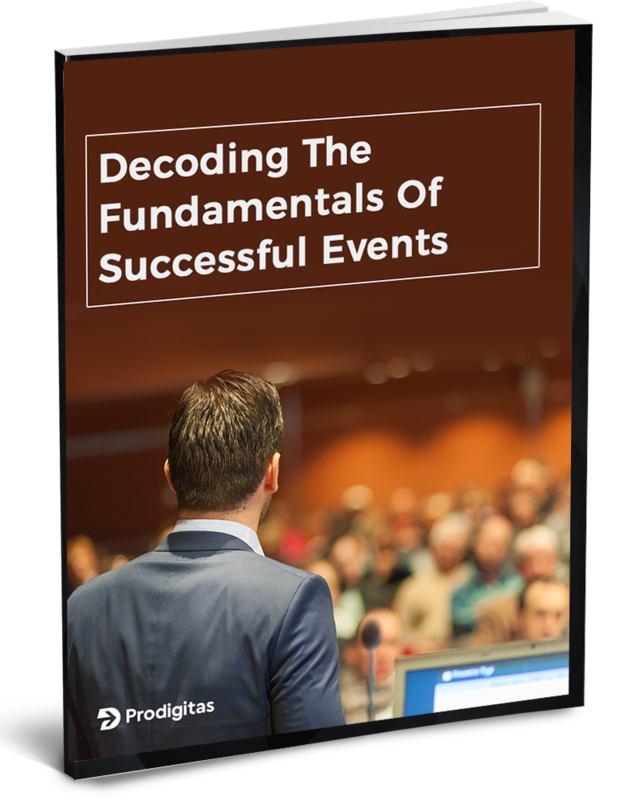 Wondering how to maximize event registrations for your upcoming event? Download our free ebook to take a quick look at the top 7 online event marketing tactics which every smart marketer must adopt for maximizing event registrations. Prodigitas enables event managers and modern to efficiently launch, manage and measure their digital marketing engagements to ensure sold-out events!engagements. Prodigitas is one of the very few digital marketing agencies in India that offer online event marketing services. Our team is geared to offer the full range of event management services to help you with all aspects of events.